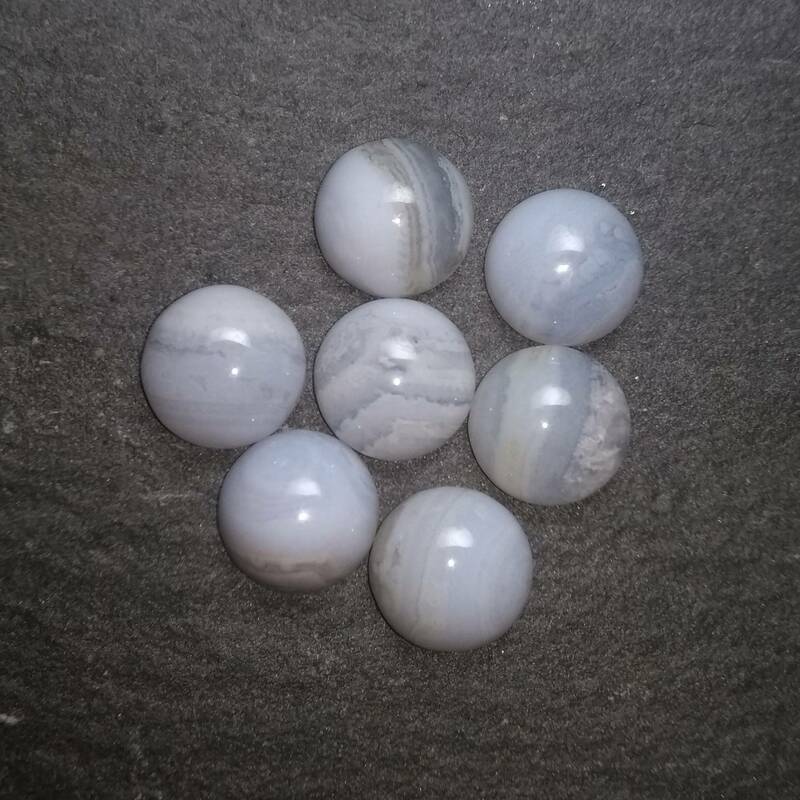 Gorgeous Blue Lace Agate cabochons for jewellers – available in a range of sizes. 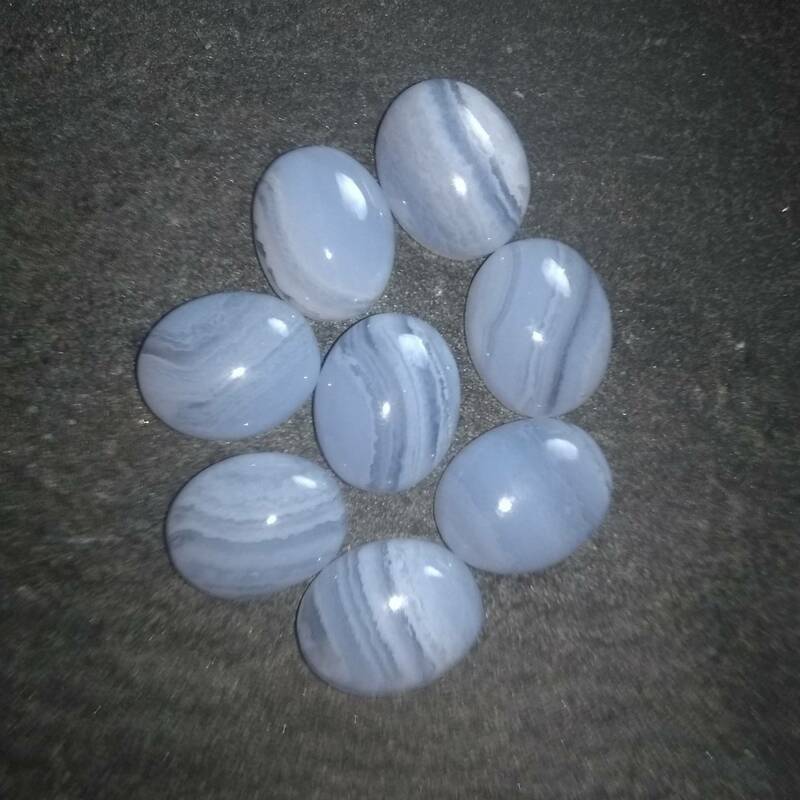 Interesting Blue Lace Agate cabochons, perfect for jewellers. Currently, we sell these cabochons in oval and round shapes, in a range of sizes. Perhaps you’ll find these stones ideal for rings, earrings, pendants, or anything else you like! They are available in a range of sizes to suit your designs. These gorgeous Agate cabochons look amazing set into silver, and have a sophisticated modern look in gold too. Ultimately, though – my preference is silver for this stone, either antiqued or polished. For more information about the stone, and a full list of all our Agate products, please see our main ‘Agate’ page. We do sell a wide range of gemstones for jewellery, including more cabochons, faceted stones, and pendants – in our “Loose Stones for Jewellery” section.